The argument is that more than 2 billion adults have no bank account making about 35 percent of the global workforce unbankef. The MENA region stands at 22 percent of fianancial inclusion ratio. The Financial Inclusion ratio stands as a comprehensive indicator to measure financial and ethical finance initiatives. The recent interview of the Managing Director of Tanmia Capital Limited on CNBC channnel regarding the recent regulatory updates on Islamic economy. Mr. Nadim addressed the importance of developing governing standard for financial products as a pre-requist for global foot print. 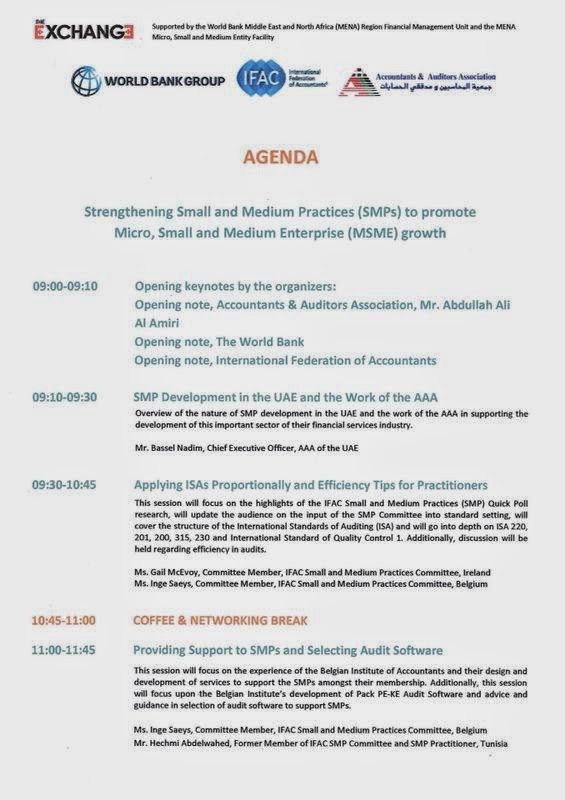 ds, accounting standards and SMEs financing. The presentation addressed the Islamic banking proposition and how structures such as mudaraba and sukuk can bring value to that ethical financing mode. 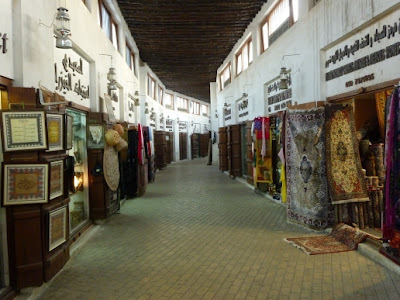 It also debated the pros and cons of each institutional form and its flexibility accommodate the country regulatory frameowk and to adhere to the sharia requirements. 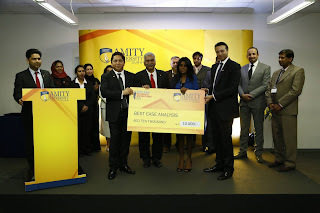 Some cases from the GCC, the UK and the Caribbeans were shared. I enjoyed discussing the topics with the Bank's senior executives and staff. Thanks for their challenging questions and positive energy. I have participated in Zawya's report on the sukuk law in Egypt. Quoting: "In Egypt's case, public debt can be reduced if sukuk issues are used to finance infrastructure projects, which are sukuk friendly because they are backed by a physical asset. 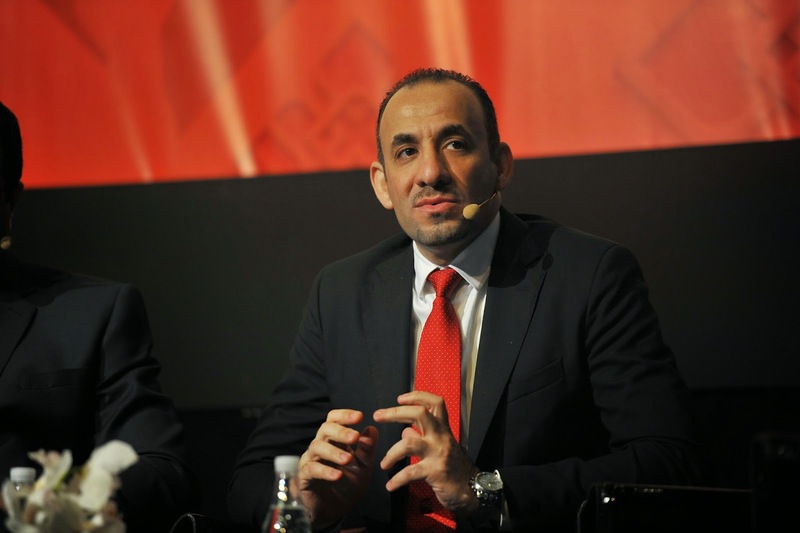 The role of the government would then be to manage the sukuk program and oversee and coordinate between investors and the project without burdening the state budget," said Bassel Nadim of Tanmia Capital"
It was my pleasure to speak at the World Bank and IFAC conference in Abu Dhabi in July 2014. My paper addresses issues around SMEs and SMPs proposition. 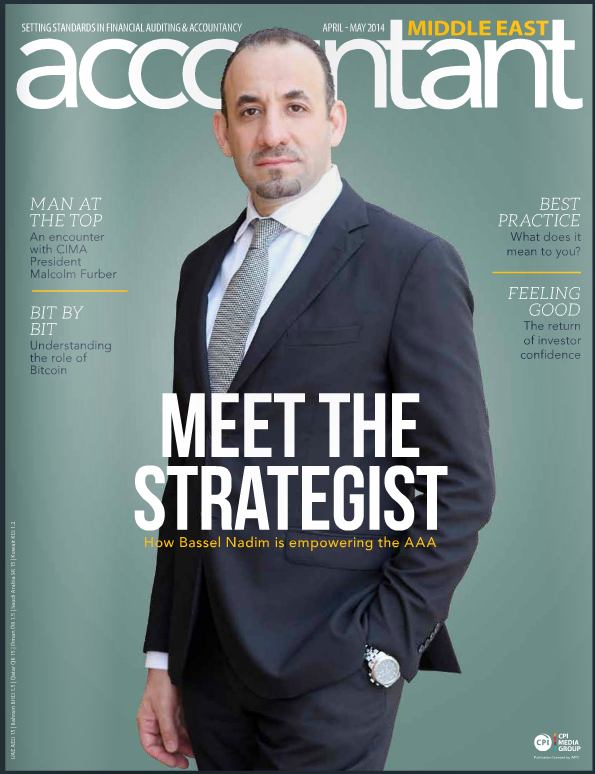 It also explores the structure of the accounting market and provides some global and regional benchmarks. 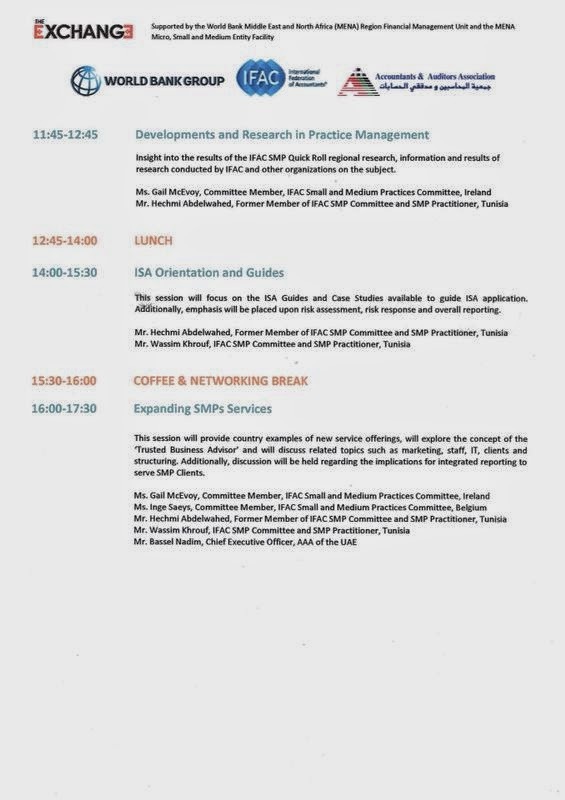 I have used UAE as a case study and introduced for the first time the SME development model. 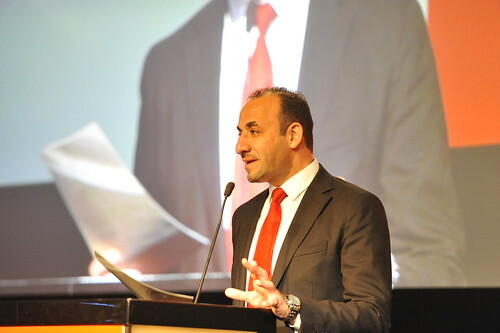 It was my honor to co-lead The Accountants and Auditors Association (AAA) 4th International Conference for Accounting, Auditing & Governance themed around accounting and auditing in Islamic banking and economy, held in Burj Khalifa , Dubai, March 2014.I would like to thank the Chairman of the AAA Mr. Saif ben Abed Al-Muhairi for his utmost support and co-leadership for this world-class conference. The drive to position Dubai as the capital of Islamic economy got a notch higher today as the UAE government reaffirmed its determination to deploy all the necessary apparatuses to achieve this goal. 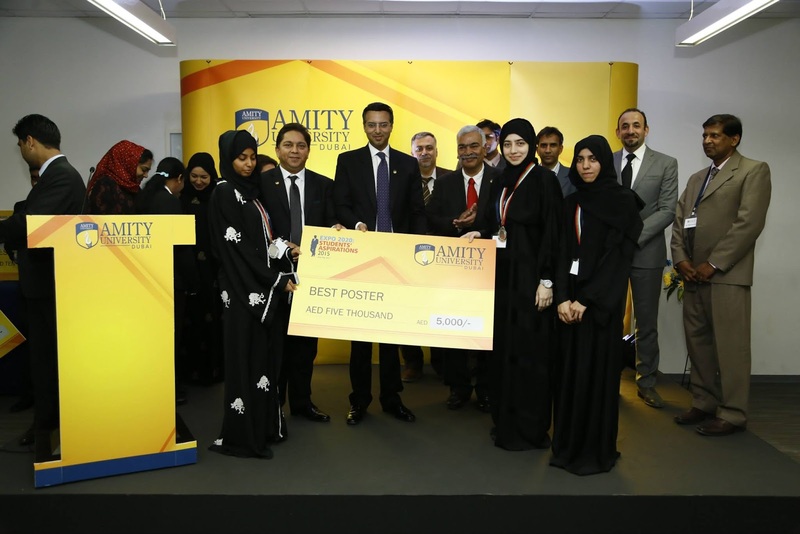 Seen as a huge boost for Dubai’s ambitions to be the capital of the global Islamic economy, the conference has brought together over 500 delegates, ranging from government officers, decision makers, professors of administrative economic colleges, accountants, auditors, to researchers in the field of accounting & auditing, employees in the banking sector and stock markets analysts. Regulated Islamic banking services across the GCC region goes bank to 1975, Oman is about to open the room for Islamic banking in the country. The following provides a recent overview of the GCC Islamic assets and where each country stands. و ما دهاك إذ تألمت يوماً من عسره، قلبك تململ! أظننت أن كل من طفق الدمع من عينه لوجه تهلل! While Islamic banking assets are mainly based in the GCC and Malaysia, interested people are mapped in different locations globally. Where are those interested people in Islamic banking located? 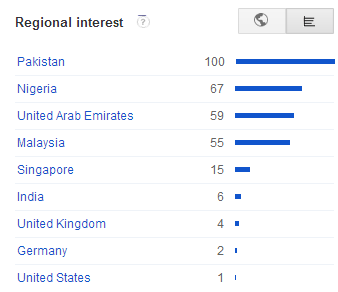 Google data revealed that Pakistan and Nigeria are the most interested in Islamic banking as measured by search hits. Among others, India, UK, Germany and USA are also in the top 10 list indicates curiosity from around the globe in Islamic banking. Countries with large Muslim community such as Saudi Arabia and Indonesia have missed the list. 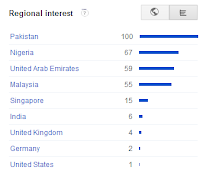 The highest search hits registered in July 2011 impacted by the news of 15% Islamic banking market share in Pakistan. On the other hand, August 2006 and June 2004 recorded the lowest. It seems appealing to support the proposition that the more the unique the concept to the prevailing culture, the higher number of search hits it provokes and the less the impact the community size. Dubai: From the start of the Syrian crisis, people have been concerned for their relatives living in the war-torn country. With the quickly deteriorating situation and growing possibility of a US-led attack, the level of worry among Syrians has multiplied manifold. Gulf News spoke to UAE-based Syrians, who said they want nothing more than their families’ safety. Zekrayat Mustafa wants her family to be safe but they are not ready to leave Halab, Syria - the only home they’ve known. In a recent phone call to her sister, Zekrayat was upset to hear about the dangerous situation the family was facing just to purchase food. ekrayat said: “My sister told me she insisted on buying cucumbers and tomatoes even though there was gunfire in front of her. People were being shot at right beside her but she wanted to buy food for the family. 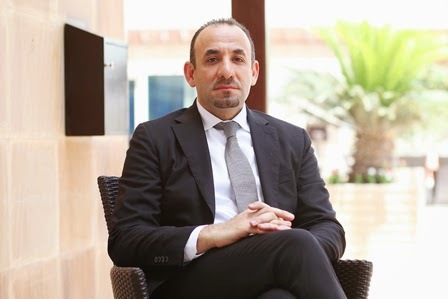 Diab Rahmeh is another Syrian expatriate who is hoping that his family will join him in the UAE. His mother is refusing to leave her home near Homs and his sister, who is seven months away from her university graduation, doesn’t want to leave her mother behind. Bassel Nadim, who has the majority of his family and relatives in Damascus, Syria, would like them to relocate to a safer location, but complications such as obtaining visas and transport obstacles make the decision difficult. Ala’a Mohammad had a similar view. He would like to ensure his family’s safety but getting visas for them to leave Syria is next to impossible. Additionally, his family is reluctant to leave their home. Mohammad added that regardless of what his family wants, in the end he will make sure they are safe. 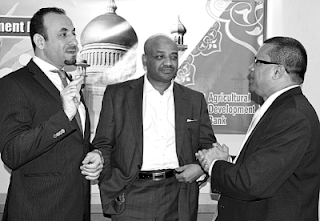 I have spent some time in Trinidad & Tobago working with the Agricultural Development Bank on the strategic options to introduce Islamic banking into the country. I was interviewed by Guardian newspaper about this topic. Among other thoughts, I have stressed that an Islamic bank is first a bank, then a Sharia compliant firm. A prudent Islamic bank shall confirm adherence to regulations and risk management rules as well as Sharia. Enjoy reading the report here and let me know what do you think about an Islamic banking in the Caribbean. تحكي رواية "جوني تأبطً مسدساً" للكاتب الأمريكي دلتون ترمبو عن الجندي الذي داس على لغم أرضي فبتر قدماه و قطع يداه وفقأ عيناه و جدع أنفه و مزق طبلة الأذن و حطم حباله الصوتية و الصق شفتاه من شظاياه. لقد أضحى الجندي جذعاً يحيى على الآلات المرتبطة به. Finally, I managed to develop my own app – iBassel. I got inspired by iPhone apps and decided to move a step ahead from a mere downloader to active “Appler” or at least a knowledgeable apps user. Again, I am trying to emphasize that iPhone is a post mobile era and it is not a new mobile brand, start the literacy now. If you are keen to peruse such an “enlightment” then the starting step is obtaining Apple IOS Developer ID from Apple website (costs US$ 99). Subsequent to having a million-dollar app idea, you need to carry out all the back office work. Whether you are using Mac, web-based Mac applications or Mac-in-cloud you need to have a developer account at the host server, then logging into your Apple Developer account to produce an App ID for your proposed app, and then create Certificate Signing Request CSR. Upon that, follow the instruction to issue Push Production Certificate and complete the Distribution Provisional Certificate. Your app is “legally” developed by now, yet you need to build/upload it on Appstore, if it passes the AQI test, otherwise, you may distribute it on ad-hoc basis to other ifreinds. It sounds like chemistry, so the best thing to do is to visit Apple iOS Library for more details and trouble shootings. Stick to using ready template and forms before option to iOS SDK and deploying OS XCoca. My first app is simple as I aim to acquaint myself to the aforementioned process. Direct your browser to http://appma.kr/o2wecH and pay a visit to iBassel. The app has 4 tabs that bring some of my recent writings to imates’ finger prints, in addition to Ask me function which allows you to raise any question or submit a feedback. Oops, I need to update my app feeder site, and keep goods apps up. Last month was my 10 year anniversary of holding a mobile! I think my kids would feel shy to that date. I rented the first mobile, Semins, prior to my leave for the UK and paid US$ 120 for 2 weeks rent. I had enjoyed the functions particularly the caller ID which was not available on land lines. It did not take that much time to buy my first mobile, Nokia 3310, which comes with VodaPhone US$ 24-monthly plan including 120 minute free. A year later, the device had been dropped in the toilet, accidently. I ceased this opportunity to claim the insurance policy to realise that peril was excluded.. To stay connected, I went to London East End and managed to buy a cheap second phone for US$ 15. I don’t recall the mobile brand, it was ugly and big machine with weak battery. All in all, I did not enjoy my experience with VodaFone, I was unable to switch my plan to a convenient one and also it was expensive to update my address, which I changed several times, as I need to go through a paid and loud call center. I moved to Dubai and bought Sagem for US$ 48 and subscribed to Etisalat Wasel service for US$ 45. The device has a funny shape like a turtle but was too far better than the “machine!”. I carried that mobile for almost a year until I bought a secondhand mobile from Kuwait, Sony Ericson, the body and the screen were in blue- the colour of love as Lisa Ekdahl sings. Few months later, I bought another Sonny Ericson powered by infrared and blue tooth functions - the state of the art technology at that time. The set comes with music composition feature which I used to compose 3 pieces of music: Glasgow, Rush and nightmare… great tunes. I kept the previous “blue” device for roaming purposes, it was the first time I hold 2 mobiles in a time, was a sign of luxury. Days passed by and I became more and more fascinated by Sony Ericson in terms of functions, design and price. Yet, I decided to move to the so called “business mobile” and opted for i-mate. It was an woeful experience so I quickly sold it to a shop in Sharjah and bought Sony Ericson K610i which was high tech handy mobile with many great functions especially live blogging. Check my personal website to see how many live bloggings I uploaded. Unfortunately, the mobile screen cracked and found myself in a position to give it up. The K610i device is too close to my heart and a precious item in my collectables. In addition to its great tech, it has attended my wedding ceremony and also endured the early bits of my son, Rades. I decided to find a good gadget that supports my work needs, Nokia E61i was a good choice due to its wide screen, keyboard and office-enabling applications. I had also activated a supplementary mobile, LG, a new set that I got for US$ 50 with a sim card! Accessing emails and browsing internet via mobile is a big addiction. I obtained a Blackberry which dramatically improved the way I communicate with people. The supernova change is when I recently bought iPhone. In contrary to BlackBerry, iPhone changes the entire communication style. I would argue saying that iPhone is a post-mobile era and it is not just a new mobile brand as all. I am completely inspired by Apple apps and currently pursuing some self-teaching classes in iOS development. My first app is coming soon. Mobile phones is an integral part of everyday life and in my memories too. I believe that strategy knowledge in the insurance industry is not well addressed and structured. The sector is dominated by day-to-day selling mentality to meet the demand for compulsory insurance- mainly car insurance. There are little postgraduate programs for insurance studies and textbooks in the region are not as diversified as other banking and corporate finance books. - Bob's. Amercian food. Jumeirah Beach Residence. Global Islamic banking industry is estimated at US$ 1 trillion and projected to get doubled in the coming 5 years. Islamic banking is more than non-interest bearing financing, it is an ethical asset-based financial system. The Islamic banking is an industry of itself governed by set of rules and standards issued by world-class organizations such as the Accounting and Auditing Organization for Islamic Financial Institutions AAOIFI and International Financial Reporting Standard - IFSB. There are key features that recognize the Islamic banking from the conventional banking. The taking of interest is strictly prohibited in Islam. This does not mean that capital is costless in Islamic finance, but that returns or profits should be linked to a value creating investment in a good or service. Uncertainty or “Gharar” is defined as ambiguity in a contractual relationship where the end result can only be zero-sum game, i.e. one party profiting at the expense of another. Financing or investing in projects that are harmful to people (alcohol or tobacco) or immoral under Islam is prohibited. The function of money in Islamic banking is to facilitate trade and as a measure of value to goods and services. Unlike conventional financial institutions, money is not considered a tradable commodity in itself. Can a government make money out of financial repression? Can regulating the banking sector be attained while liberalising the economy? What is Basel Convention role? Where the World Bank stands? This paper addresses the puzzling questions of monetary liberalization in developing countries. 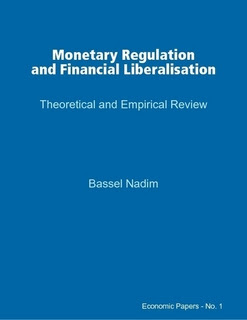 Read my first published e-book on monetary regulation and financial liberalisation.